My husband walked in from work when I was about ten minutes into the award-winning film Putzel, this evening. I had purchased it on iTunes as it was released April 8th world-wide, and I was watching on the laptop in the living room. “Oh, does this take place in New York?” He asked, chomping on chips because I neglected to provide dinner. We love films with New York City in a leading role. 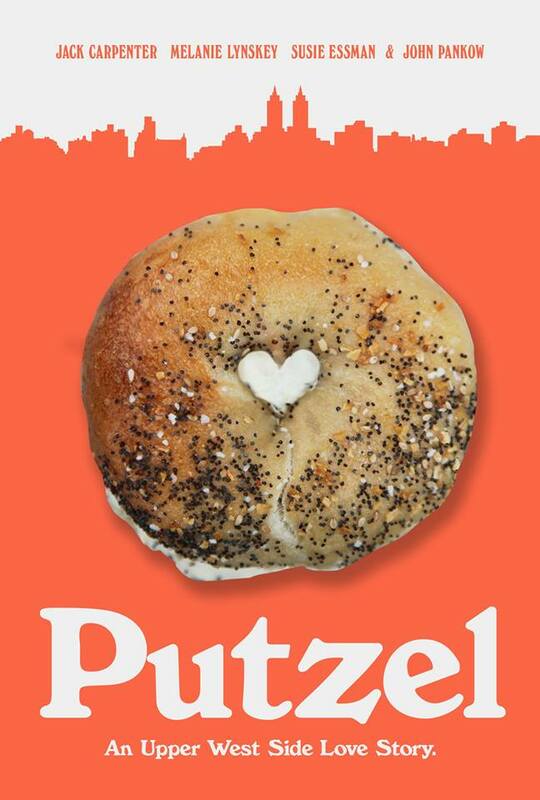 And Putzel, with its heart in a fish store on the Upper West Side is a New York story, a Jewish story, a love story, a family drama, a comedy, and a coming-of-middle-ish-age story, as much as it is a lesson in supervising over-zealous employees around smoked fish in the case. Most of the cast is super recognizable; the characters, however, are so well sunk in to the New York streets they inhabit, you will believe easily each is tethered by an invisible force to the historic Himmelstein’s fish emporium. “What is a Putzel?” Sally (Melanie Lynskey), the dancer slash white-fish-salad-loving bartender asks Walter, who has worn this nickname–in life and on his shirt–since he was a baby. The Yiddish slang word putz may be familiar, but the film seeks to answer just that: What will the man with the name tag become? Putzel (Jack Carpenter) literally, physically cannot leave the boundaries of his family’s store’s delivery zone. His ambition is great (he wants only to take over the store according to his 40-year plan), but also greatly jeopardized by fear, romance, a shiksa, and years of misplaced loyalties. These are real problems set against a backdrop that is the most human place on earth. You cannot help but hope that almost everyone in this film–however foolish or high on the dysfunctional meter–gets what he or she deeply wants. This entry was posted in New York City Living and Coping, Review, Writing and tagged allegra cohen, jack carpenter, jason chaet, Melanie Lynskey, movies, new york city, putzel, putzel movie, reviews, susie essman. Bookmark the permalink.